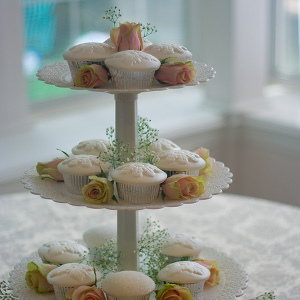 For an elegant and unique look, decorate your cupcakes with wedding Cupcake Caps. Don't see what you want? Let us design something custom for you! We use Paypal to securely handle our transactions. You do not need a Paypal account to order. As seen in BRIDES Magazine and on Brides.com!